I. When is the best time to visit Vietnam? II. 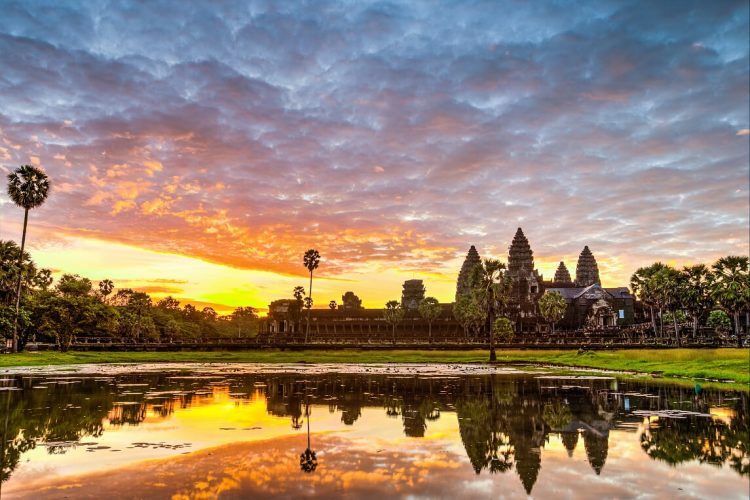 When is the best time to visit Cambodia? Firstly, Vietnam is a country stretching over a thousand miles, from north of Sapa to the southern delta of the Mekong Delta. Although Vietnam’s territory is located in the tropics, the climate is divided into three distinct climatic zones according to the Köpenick climate classification, with four seasons in the North and North Central, and in the remaining area, there is two: the dry and rainy season. In the capital Hanoi and the North, the weather is often hot and humid, along with high rainfall, especially from May to October. The climate is cooler and dry from November until April. In the far North, the climate is extremely cold in winter. It may have snow in some areas. Regards Central Vietnam, it experiences a high level of rainfall in September, October, and November, while the temperature can reach 30°C between January and August. Generally, Southern Vietnam has dry and hot weather, with the yearly average temperature quite higher than other areas. The rainfall reaches its peak from June to August. From October to December, Northern Vietnam is often warm and sunny. After that, the winter knocks the door, along with the fog and cool up to cold temperature. Being one of the cities in North Vietnam’s mountains, Sa Pa’s weather is very seasonal. The temperature could reach 29°C (84°F) in the summer. Sa Pa is known as “frosty city” and it is a rare city in Vietnam that we can see snow and enjoy the freeze. The time visitors want to visit most is in March and April for the dry and warm climate or from October to January for cooler climes and clear atmosphere. 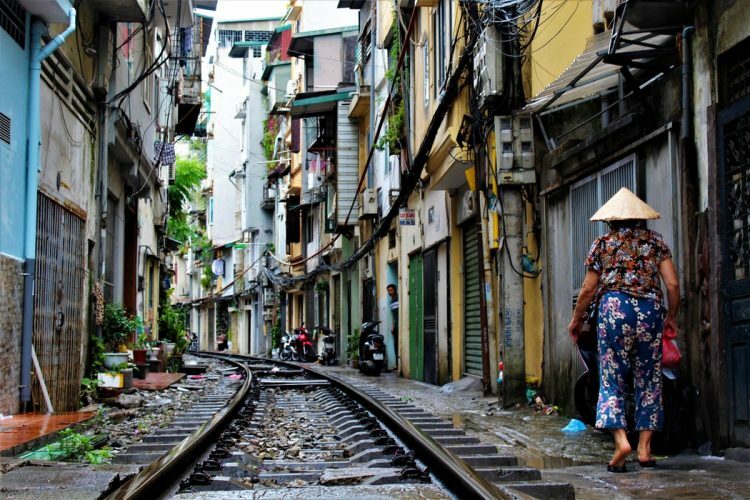 When is Hanoi in the best season to come? Hanoi’s summer stretches from May to September, bringing about heat and humidity. The average temperature is about 32°C (90°F), accompanied by the appearance of refreshing heavy rain. There is little rain in winter and the temperature is 17°C (62°F) on average. So, the best time to travel is in October and November since the weather is not too hot or too cold. You can be deep into the beautiful scenery of Hanoi in autumn. From March to May are the time that Halong Bay temperature is pleasant at all. Winter may bring a little bit cold when floating on the cruise or boat. Spring and autumn is the best option of warm days and pure skies. Central Vietnam is famous for beaches and fortunately, it offers beaches for every season with a pleasant climate all year. In the central coastline around Danang and Hoi An, the climate is warm year-round, approximately 38°C (100°F) in summer and around 24°C (75°F) in winter. If you like Cambodia hot weather, travel at the end of the dry season (July) or at the beginning (February) if you prefer mild. 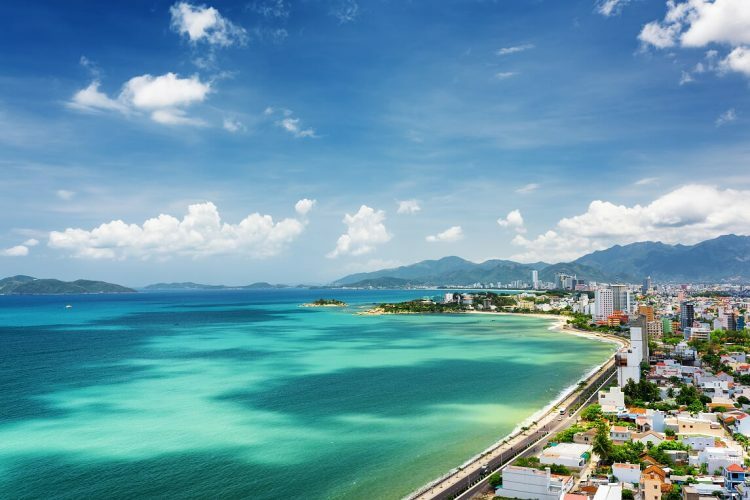 While Nha Trang beaches are warm year-round, they are affected by the monsoon season from September to January. From September to December is the wet season of Hue, especially, the heavy rain may cause flooding in October and November. The dry season lasts from January to August and it is also the best season for Hue travelers. Dalat has nice weather all year round and only fluctuate by a few degrees from 16°C (61°F) to around 24°C (75°F). The countryside is full of color from May to November in the green season. 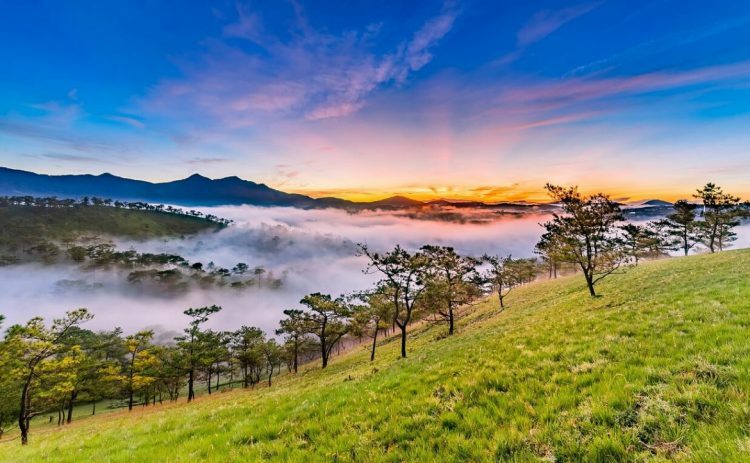 Besides, there are many things you can do in Dalat – “the city of love”. The dry season in southern Vietnam runs from December to May. There can be some problems in the monsoon rains for transport and visit. In the South of Vietnam, it seems that the temperature remains constant year round, with two seasons: wet and dry. One interesting point is that in Saigon, the day is warm and the night has a cooler temperature, which is very pleasing. The temperature of the central highlands witnesses the same patterns: The daytime is hot and the heat drops at night. In addition to the beautiful weather, February is also a time when you should travel to Saigon to attend the Festival of the full moon in January and the Great Tet Festival on the Saigon River. 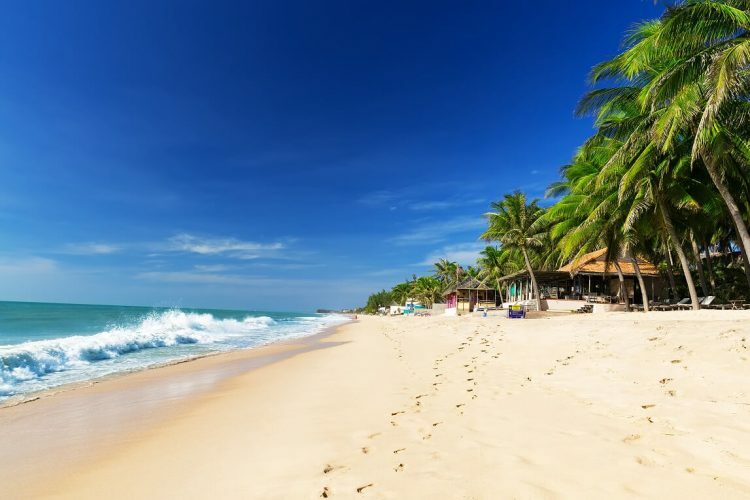 From August to December is a very convenient time to travel to Mui Ne, Binh Thuan. You should not come here in the rainy season (from about May to the end of July) because this is the time when seaweed multiplies rapidly and makes the water very turbid. Cambodia is a Southeast Asian country, situated on the shores of the Gulf of Thailand and between Thailand, Vietnam, and Laos. The country is located entirely in the tropics and it is influenced by the monsoon. There are many factors relating to the best schedule to Cambodia: the heat, rain and the number of visitors. Being in the tropical climate as Vietnam, Cambodia is warm all year with the temperatures are often above 20°C (68°F). In general, Cambodia has two distinct seasons: dry (from October to April) and wet (from May to late September). Each season has variations in temperature, such as humidity appears during March and April and the coolest months are between October and December. The average temperature of Cambodia is quite high (around 24°C-26°C) and the hottest may excess 35°C. The dry cool season is from December to February. At this time, in the north, the northeast monsoon is active, causing cold to many countries and regions. But due to the distance and the terrain, the effect of the northeast monsoon to Cambodia is not so strong. Cold air can not reach here, instead of the cool air mass effect throughout the country, creating very pleasant weather. Next time from March to May, Cambodia climate changes to hot season. Although it is still in dry season with little rainfall, the weather becomes much more irritating as temperatures rise, culminating to 35°C. 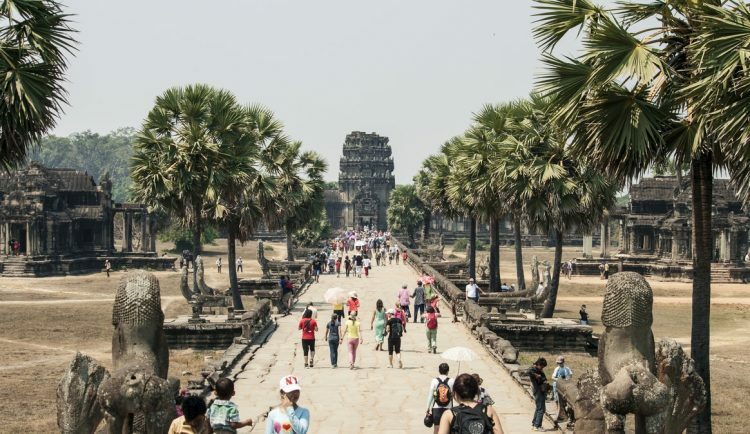 It is no doubt that the dry season is when Cambodia reaches its peak number of tourists. 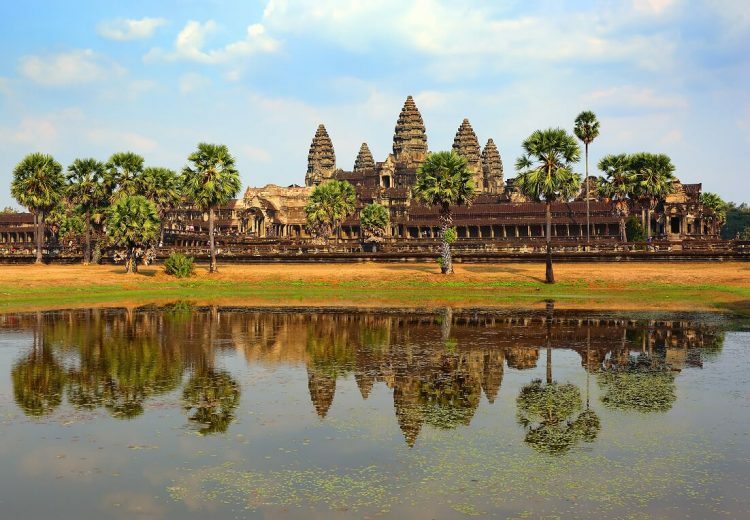 The best time to travel to Cambodia is from November to April when the weather is milder and less hot and less rain. Although the weather is sultry and quite difficult for travel, around April is the time not to miss your trip to Cambodia. This is where the traditional festivals and cultural activities take place. If you go in April, you can have the opportunity to participate in the traditional New Year holiday in Cambodia with the extremely exciting Bom Chaul Chnam Water Festival, which is held on April 13th to 15th. At a moderate temperature, the weather is cool and less heavy rain is definitely suitable for tourism in Cambodia. Besides, if you travel between tourist spots, you will not feel too tired. In some remote parts like Mondulkiri and Ratanakiri, the roads are in good condition and make the journey time shorter. 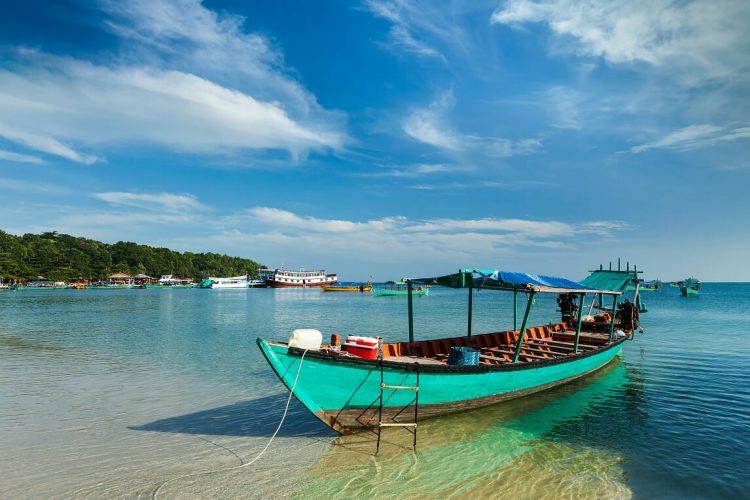 During this season, Kep and Sihanoukville are very popular because of its brilliant sunshine and the favorable sea conditions. The rainy season in Cambodia lasts from late May to October. This is a chance for tourists to explore the temples of Angkor and other rural areas of Cambodia. The rainy season can be a bit of hassle for tours but it brings a rare and colorful beauty of the temples as they are reflected from the surrounding lakes, as well as the forests. Tropical and rice fields become green, full of vitality. You should avoid traveling to Cambodia in July and August because this is the time that flood season starts to drag on some areas in Cambodia, making it difficult to travel as well as not have beautiful scenery for us to enjoy. When there is high rainfall, it is the perfect time to travel to the flooded forests and floating villages in Tonle Sap Lake. Now, you are having background knowledge about the weather condition in Vietnam and Cambodia. Each country has its own pros and cons in different seasons. We know that you may wonder when is the best time of the year to visit and how to arrange a perfect schedule to go to Vietnam and Cambodia. Bearing this in mind, our staff is always here for you to contact immediately. We offer Vietnam tour package, Cambodia tour package and even Vietnam & Cambodia tour (multi-countries tour). Vietnam – Cambodia tour is usually considered the best trip in Southeast Asia. 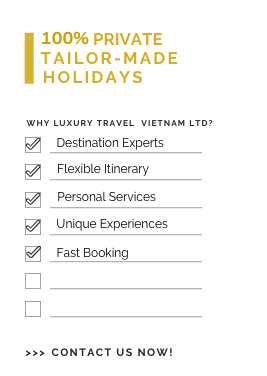 You can refer some reviews for Cambodia & Vietnam holiday. Let us take care of your needs. Since our DMC was founded in 2004, #Touchinghearts has been a philosophy that motives and drives us to grow continuously. With the mission of delivering happiness, we always make a huge effort to ensure that our customers feel satisfied and that they have the most wonderful trip possible. 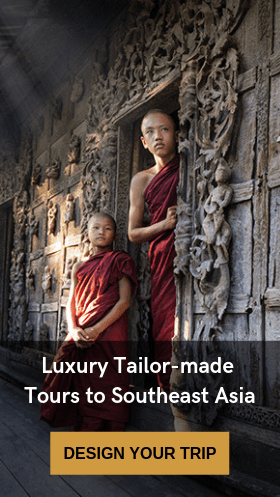 We want each traveler to be able to appreciate the timeless beauty, long-lasting culture, and rich history of the fascinating place we call home. 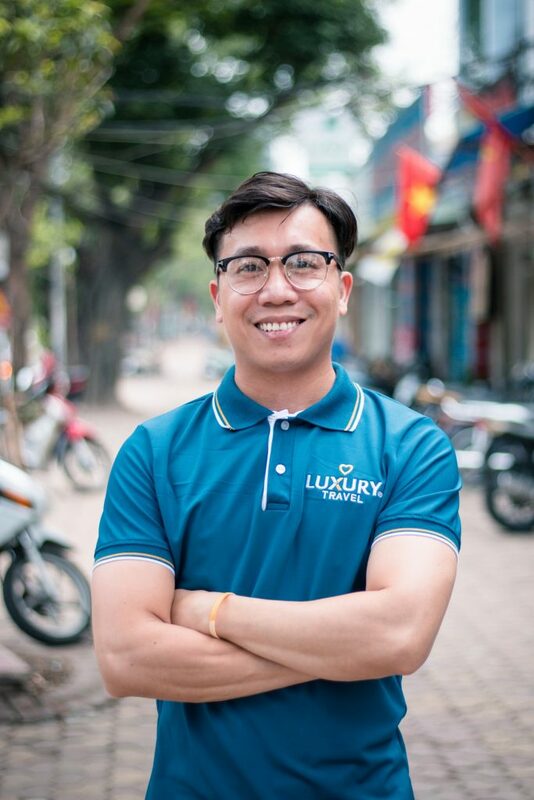 I and other local experts in my team are able and ready to give you the best advice on not only the highlights of Vietnam, Cambodia, Laos, Thailand, and Myanmar but also the little-known local places and hidden gems of these countries. We listen to all of your personal wants and desires. Contact us and plan your dream trip now!